I’m not going to lie being the Wedding Band Bel Air Bay Club for Ruthie and JP’s super amazing wedding cocktail hour and reception on Friday night was beyond fun. 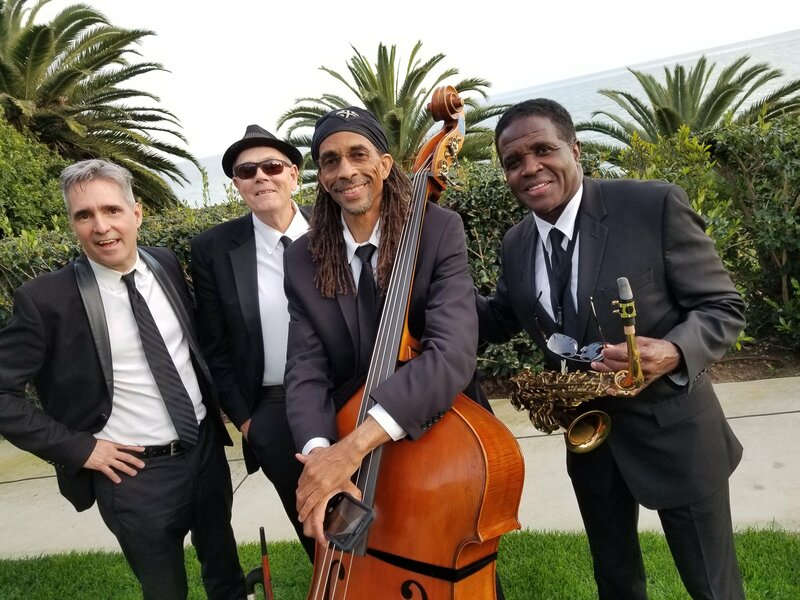 I always love playing and the Bel Air Bay Club, now add getting to play with a fantastic quartet Rickey Woodard on sax, Harvey Estrada on bass and Bob Sullivan of the Happiness Band on drums. Starting on the lawn we had been asked to play “jazz”! And Jazz it was, a full swing fabulous hour of Frank Sinatra to Miles Davis Jazz! One family member came up and asked ” would you call this Chicago Blues or Kansas City Blues/ Jazz! I answered this is Los Angeles Jazz! And we all had a great laugh! And by this time the sun was setting and it was time to make out way ok inside to play for the dinner part of the reception. Just to change it up we played more current love songs. Jason Mraz, Coldplay, Ed Sheeran, John Legend and more! After dinner we went off on our way and left the rest of the evening to the DJ although we would have loved to just play swing and classic dance music for another 3 or 4 hours!! And we love playing for the dancers. All and all a beautiful evening for a gorgeous event!! The Wedding Band Bel Air Bay Club is Available! Hire the band! Contact me here! You can find over 40–5 star Yelp reviews here! 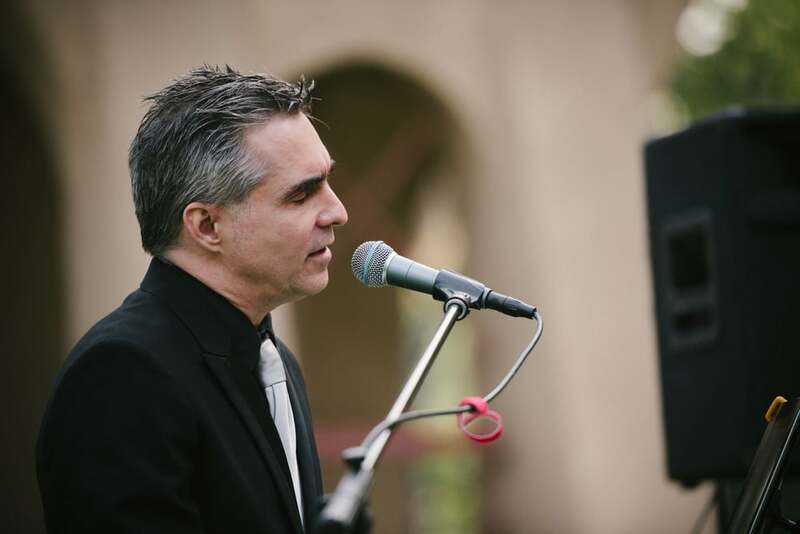 Marc performs as a solo and duo and even as a band as above or even combinations. Sometimes solo piano is perfect for the wedding service but then a quartet is better for the cocktail hour. And even for the early dinner. Before the dancing starts.